1. CONTENTS Introduction: "Down on the Farm" I. "Democracy in Action" II. "Fill'er Up!" III. "Ivory Tower of Babylon" IV. "The Revolution Needs You!" 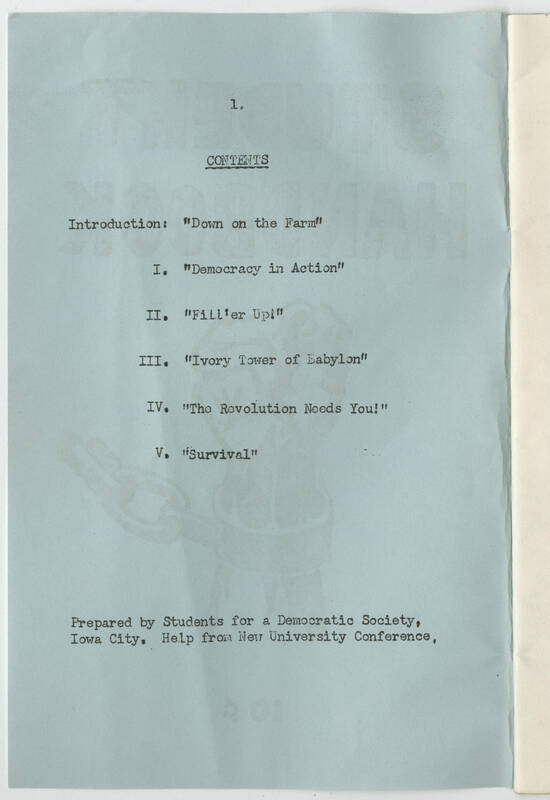 V. "Survival" Prepared by Students for a Democratic Society, Iowa City Help from New University Conference.